I saw this on the news tonight. It’s a story about grad students who don’t live in dorms but live in retirement homes along side retired residents. Both populations benefit! 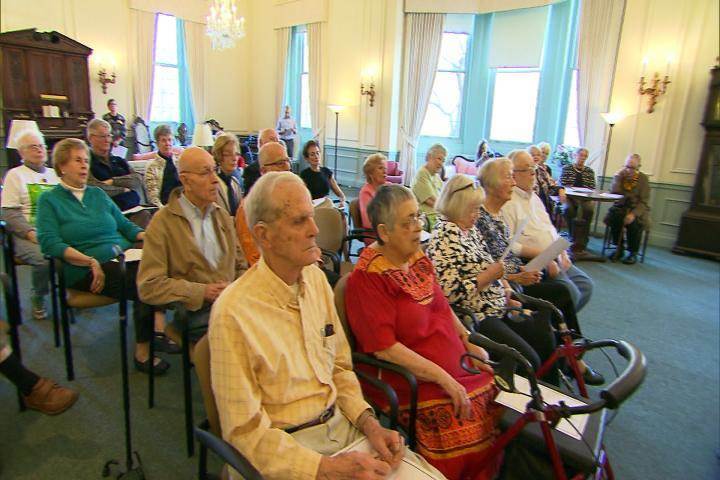 Retirement homes are perhaps the last place one might expect to find graduate students living. But for some in Cleveland, that’s the best student housing arrangement they could ask for. Daniel Parvin, 25, calls the Judson Manor, a vintage one-time luxury hotel, his home after long days of study pursuing his Ph.D. at the Cleveland Institute of Music. But in his spare time, he’s also their resident pianist. 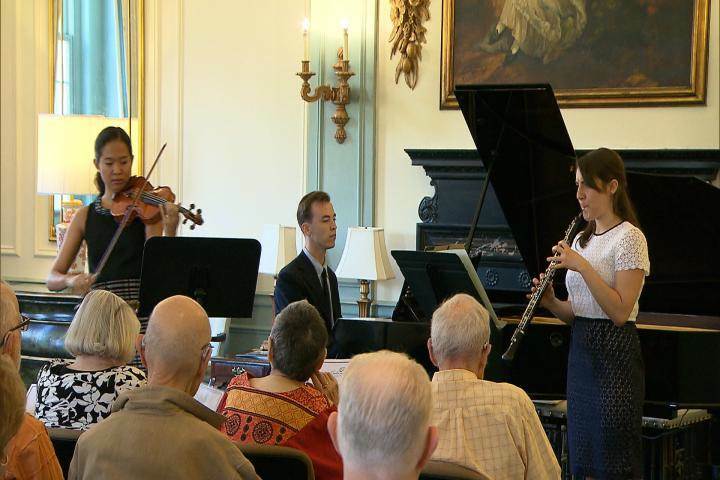 In exchange for free housing, students living at Judson Manor give free performances at least once a month. When it was first agreed on that the students would be living at the residence, there were no worries about the late-night loud parties that may typically be associated with college students. And after hearing one concert, some who haven’t touched an instrument in years felt compelled to play along with him. And for other residents, just having the students around does much to lift their spirits. The residents have developed such an affinity for the students they even consider them as part of their family, referring to them as grandchildren. Tiffany Tieu, 23, who plays the violin at Judson Manor, had an audition in Brazil, which concerned some residents about how she would get there. But in the end it turned out just fine when they found out she had friends there. But what could they possibly have in common? It turns out that much more than the music has brought them together. George Havens believes that both the students and the residents get as much as they give. “It’s a win for us, because we have delightful young people here,” Havens said. Love them and love their mama! The Southern University Marching Band, known throughout the land as the “Human Jukebox”, is a 230 member powerhouse. There have been siblings in the band before, but none quite like Josiah and Micah Frank. Music has been the key that opened the world to these young men. The University of Louisville swim team relieved boredom at an airport while waiting for their flight. Nerd Fest UK put together this genius mashup of “Uptown Funk” by Mark Ronson (featuring Bruno Mars) and iconic dance scenes from old movies. PS Thanks for sharing the dance video, Carol. Today’s weather is going to be PERFECT! Temperature under 70 degrees. PERFECT after this long, hot summer. And I’m wearing my favorite outfit: shorts or a skirt and a long sleeved men’s shirt. 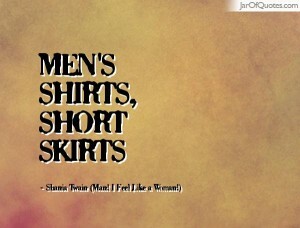 That reminds me of my favorite Shania Twain’s song because she talks about “Men’s shirts-short skirts”. One of my most cherished memories is singing this song with Melissa and Carol just before the Women’s Fitness Celebration 5K Race during Melissa’s first year in college at Boise State University. Carol and I had driven up from Fallon to visit Melissa about a month after she started college. 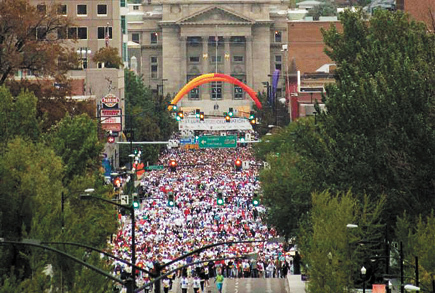 We joined 20,000+ other women in song along the streets in downtown Boise. It was a magical moment with incredible energy and sisterhood. 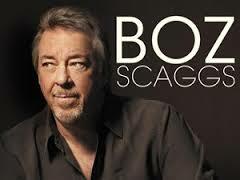 My favorite musical artist ever is Boz Scaggs. 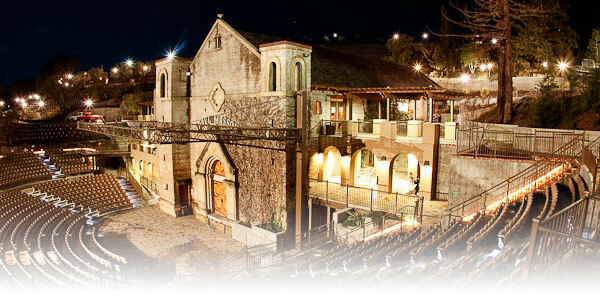 Carol and I even went to see him at The Mountain Winery (formerly Paul Masson) in Saratoga, California–the most scenic backdrop I’ve ever been to for a concert. A Fool to Care is similar to Memphis in that the music is very different from his previous work. Very smooth jazz with a twang that’s hard to describe–part country, part Cajun, part ??? My favorite song of his from all time is Harbor Lights, but there’s a cover of a Rick Danko and Bobby Charles song, Small Town Talk, written in the early 1970’s on this new album that moving up close to number one.